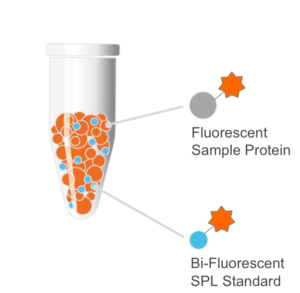 The SPL Kit allows to precisely analyze electrophoretically separated proteins without any staining/ destaining procedure. 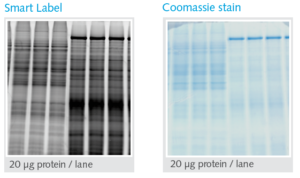 Due to a simple, very convenient fluorescent labeling step prior electrophoresis, proteins can be digitally detected within seconds when the run is completed. The detection sensitivity is at least in the range of silver (1ng and less), the dynamic range is 1,000 fold higher than silver. 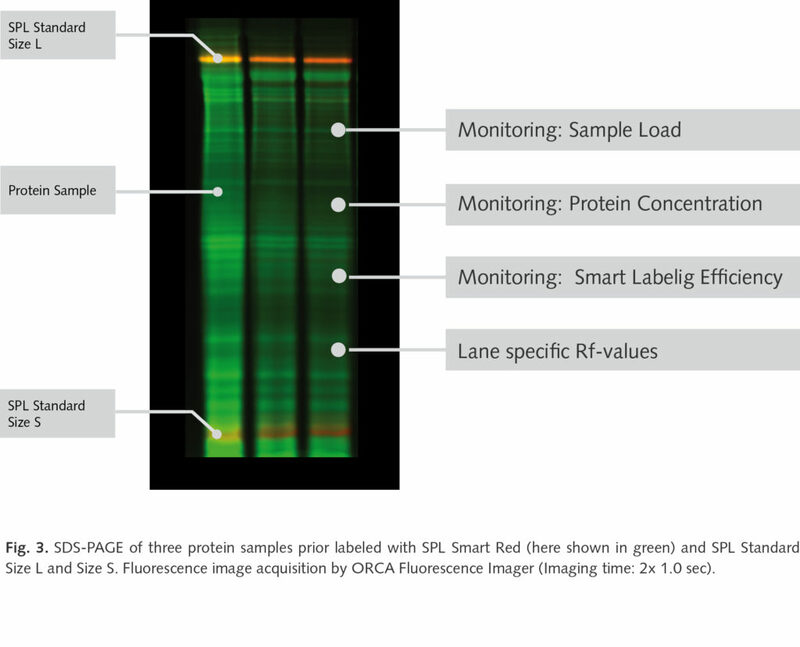 Fluorescent SPL Standards included in the SPL Loading Buffer ensure for precise determination of the amount loaded, protein content of the sample and Rf-values of every protein band independent on electrophoretic running conditions between the different samples. In addition, the SPL standards monitor the labeling efficiency, in contrast to other fluorescence labeling kits, SPL samples do not have to be purified prior labeling. The SPL system is at use in many laboratories for daily routine protein analysis. 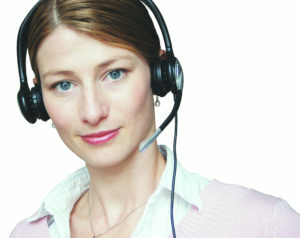 Depending on your needs we offer customized SPL kits for standardized routine PAGE and IEF analysis. 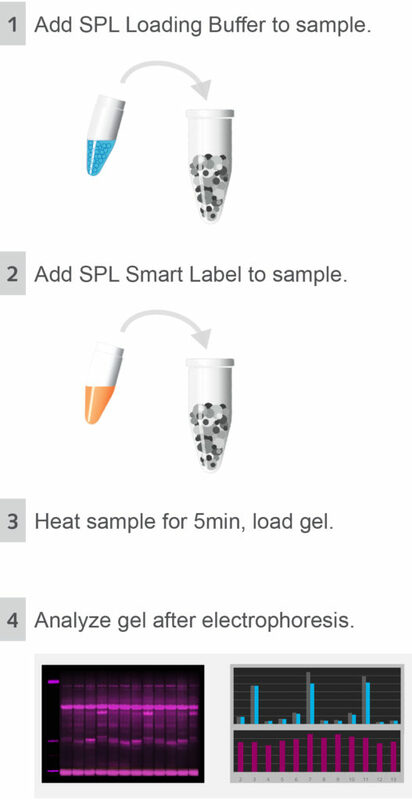 Prior electrophoresis the SPL Loading Buffer and the SPL Smart Label are added to each sample. After protein heating (5 min @ 37- 95ºC) the proteins are loaded onto the gel and separated by electrophoresis. After the run, the proteins are detected by fluorescent digital imaging within seconds. 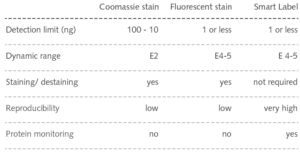 Fluorescent SPL Smart Label show a 1,000 x higher dynamic range compared to VIS-stains like Coomassie or silvernitrate (Fig. 1). 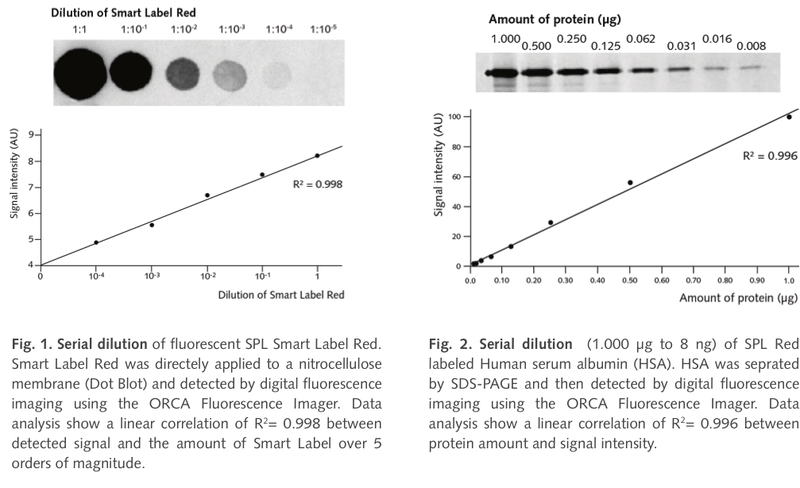 Compared to Coomassie the sensitivity of SPL Smart Label is about 100 x higher (Fig. 2).